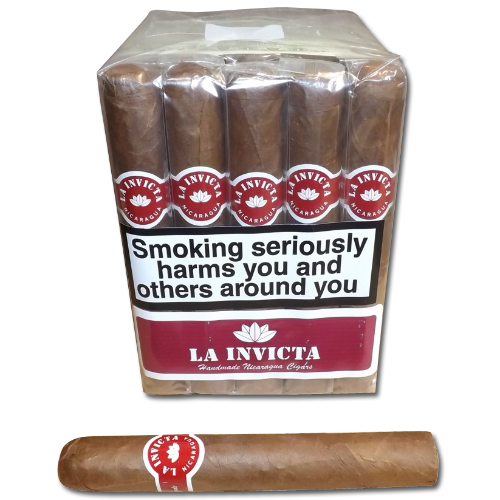 New from the La Invicta range, excellent smoke at a great price. Medium rich flavour, handmade, with Nicaraguan filler and wrapper. Easy draw, brings out the rich, nutty-cedar flavours. Individually cellophaned. Available in bundles of 25 and as single cigars.